These devices are designed to remain in the tensed or closed position. To compare to mechanical coil springs, the relaxed state of these springs would be when the many coils are close together with no gaps between them. Tension Gas Springs – Enertrols, Inc. Most gas springs are classified as compression springs and employ the opposite working principle of the tension spring, meaning they are extended when at rest and compressed when force is applied. When at rest, the tension gas spring is fully compressed. The piston and attached rod are retracted into the main cylinder. The inclination to pull shut allows the use of such springs in many industries such as automotive, construction, aerospace, marine, medical and food processing. In such industries these gas springs help to close and seal doors, hatches, hinges, landing gear, lids and other devices. Providing shock absorption and serving as dampers in the direction of extension, these devices create a tight seal as well as control movement to keep the rate of compression and depression even throughout the stroke. 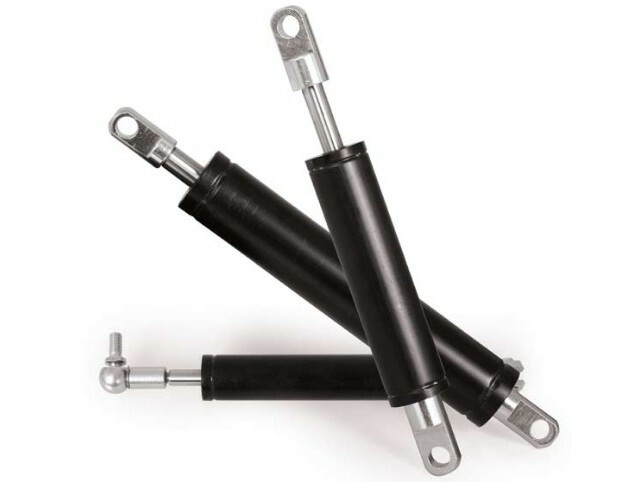 Also known as traction or reverse acting gas springs, the controlled and sustained movement of these devices makes them preferable to mechanical coil and leaf springs, which just snap back into place instead of providing a controlled release. 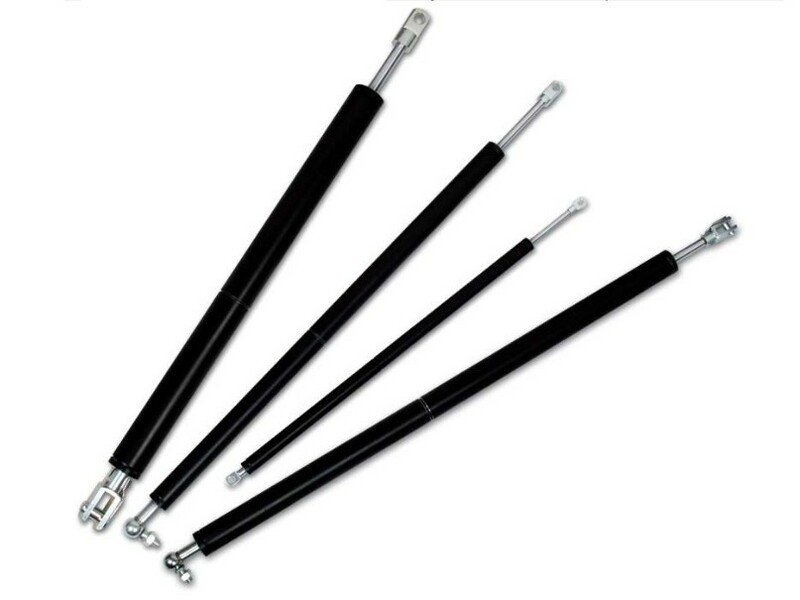 Considerations to keep in mind when purchasing a tension gas spring include operating temperature, maximum extension and retraction, maximum force, mounting and size. The design is not that disparate from compression gas spring design. The main body of the spring is a sealed cylinder made of durable materials such as steel, stainless steel, aluminum or thermoplastic which is polished to a micro-smooth finish. The interior finish allows the piston head which transects the chamber to slide up and down the barrel without unnecessary friction. Attached to this head is a rod which is attached at the other end to the external equipment to be supported, protected or sealed. O-rings and seals are used both around the piston head and rod to ensure that the compartments remain air tight. Although the design is similar to most other gas springs, the basic operation of tension springs is very different. Rather than retract, these springs extend the piston rod when force is applied in the form of compressed air on the opposite side of the piston head, but otherwise pull shut. Locking gas springs that work using tension further ensure an adequate seal for doors, hatches and other enclosures. Locking and adjustable mechanisms are also common to hold these lids and latches open when needed as the natural tendency is for them to pull shut when force is relieved. Tension Gas Springs Tension gas springs are one of two major categories of gas springs that are pneumatic energy storage devices, which employ compressed gas in order to provide shock absorption, damping or the exertion of force.